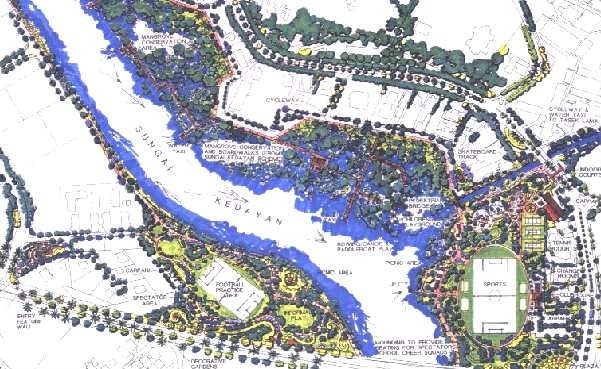 The riverside open space now comprises part of a lineal parkway between the BSB Central Area, Gadong Commercial Precinct and government offices at Berakas. The second phase of the work incorporates urban design and landscape elements to complete the lineal park as a major feature of the urban environs of the capital city. A combined cycleway/jogging track runs the length of the park with boardwalks located in mangrove areas. Access by boat is encouraged with new jetties while playgrounds, playing fields and food outlets are linked to adjoining residential areas.